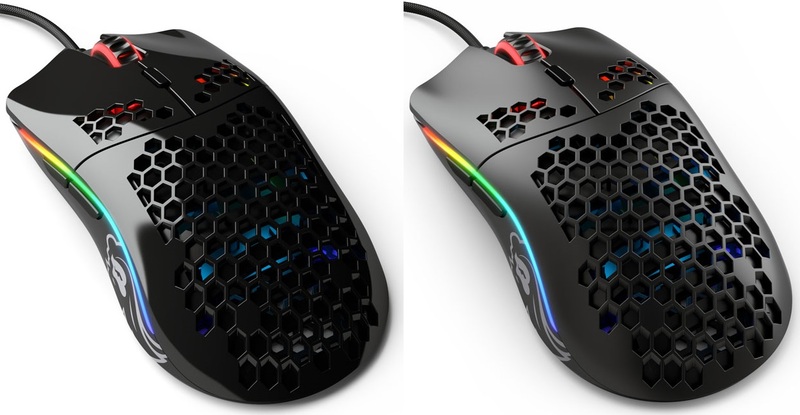 Glorious PC Gaming Race, a very recent brand of gaming peripherals, announced the Model O, which is its first mouse gaming comes with a design to prevent hands sweating, in addition to significantly lighten the weight, so the mouse only weighs 67 grams. Inside we have a high-end optical sensor such as PixArt PWM3360, capable of a resolution of 12,000 DPI with 4 predefined levels of adjustment (400, 800, 1600 and 3200 DPI) capable of recognizing accelerations up to 50G, a speed sampling of 250 IPS, a response time of 1 millisecond and a Polling Rate of 1000 Hz. Regarding the design, it is ambidextrous, although two of its 6 programmable buttons are located on the left side. Information about Glorious PC Gaming Race Model O is complete with a full set of RGB LED lighting configurable in 16.8 million colors. Disappointed thing is that 2 meters USB cable is not reinforced with braided nylon, includes four teflon mouse feet (one in each corner), and already available for pre-order in matt white and matte black for 49.95 euros, while bright black and bright white price rises to 54.95 euros.